Happy Easter everyone (only a few days late). I know it's been and gone but thought I would post some snaps of my weekend. Alcohol, food, family and lotsa chocolate. I spent Friday night and Saturday at my boyfriends. It was really nice and cosy sitting on the garden, chatting and roasting marshmallows. Perfect little Easter weekend. 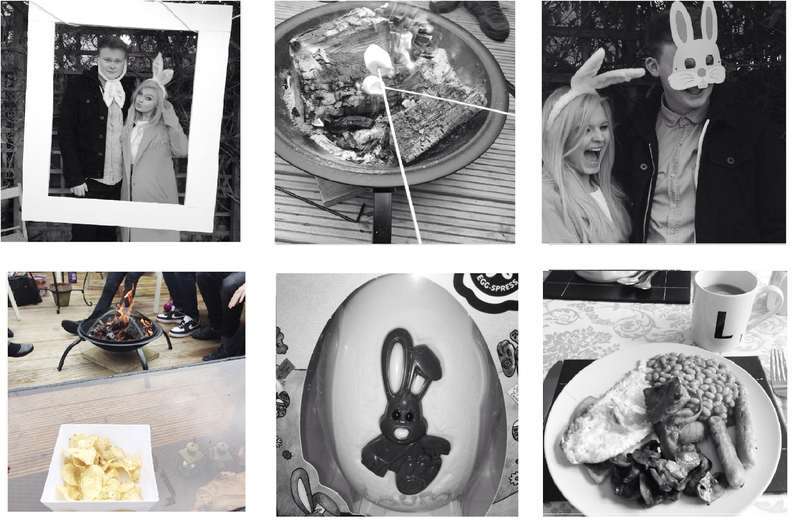 Sunday was topped off with a roast at my family's house and once again lots of chocolate - but how can a Easter weekend not involve that. Hopefully it was a good weekend for everyone else! We shall all be fat together I'm sure.